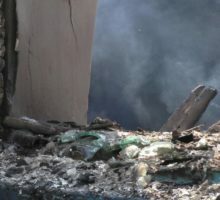 Ukrainian military shelled three cities and five villages of Donetsk People’s Republic during the evening and night, two houses burned down, a source in DPR Defense Ministry told Donetsk News Agency on Saturday. 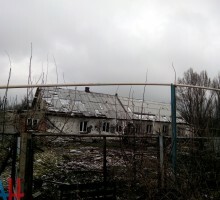 A house burned down, another two were damaged by the shelling of Spartak village in the northern suburbs of Donetsk by the Armed Forces of Ukraine, the locals of Spartak informed Donetsk News Agency yesterday in the evening. 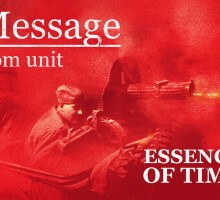 The intensity of the shellings is increasing along all of the whole front-line, “Essence of Time” unit reported on their official page in the social networks on the evening of May 10th. 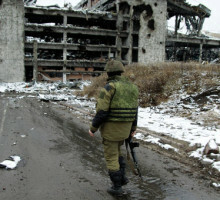 Last night, Ukrainian Army units were shelling Spartak township and the area of the former Donetsk Airport by mortars for over three hours, a source in the Defense Ministry of Donetsk People’s Republic (DPR) informed Donetsk News Agency. 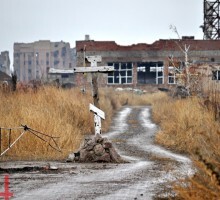 Last night, Ukrainian military shelled the area of Former Donetsk Airport and Spartak village, a source in the Defense Ministry of Donetsk People’s Republic (DPR) informed Donetsk News Agency. 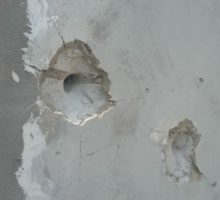 Ukrainian punitive forces fired 120 shells at the territory of the Donetsk People’s Republic (DPR) yesterday, resulting in a total of 36 violations of the ceasefire. 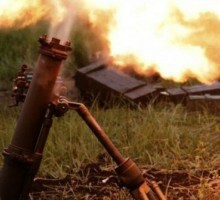 One soldier of DPR Armed Forces was wounded due to the mortar shelling by the Ukrainian army, DPR Ministry of Defense informed Donetsk News Agency. 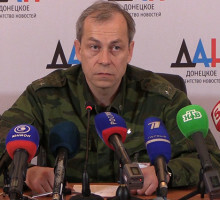 Over the past day, Kiev junta’s punitive forces shelled the Donetsk People’s Republic (DPR) territories 59 times, a spokesman of DPR Ministry of Defense said in response to questions of Donetsk News Agency reporter on February 25th. The situation on the frontline didn’t change significantly in the past 24 hours. The divisions of 58th, 93rd, 30th and 72nd brigades of the Ukrainian Armed Forces shelled Spartak village, Gorlovka outskirts, Donetsk suburbs. 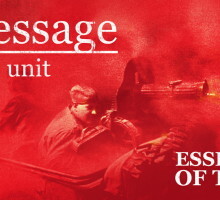 Bandera Nazis have violated the ceasefire 20 times in the past 24 hours, having fired mortars and small arms, according to Donetsk People’s Republic Defense Ministry. 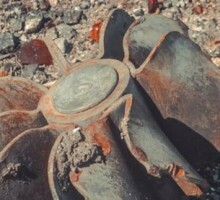 Kiev has shelled Donetsk People’s Republic 39 times in the past 24 hours.